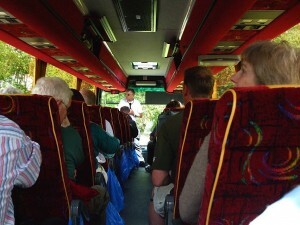 Jon has been in regular demand as a battlefield guide for many years. He is not a professional operator and does not run a business associated with battlefield touring. He is purely an independent battlefield guide and is available to you. He can however arrange a personal tour for you. He will personally research your Great War relatives and expertly take you safely to your battlefield and return. He regularly accompanies small parties from 2 to 12 persons or larger groups of 20 – 50 persons. He can arrange and advise on hotel accommodation, luxury coach travel and dining, picnic lunches etc., in France or Belgium. He will plan your whole pilgrimage to the Western Front. 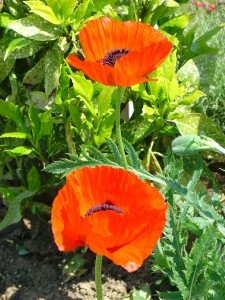 He can collect you from your home in the UK if required, or meet you in London, Hertfordshire, Arras, Lille or Ypres. 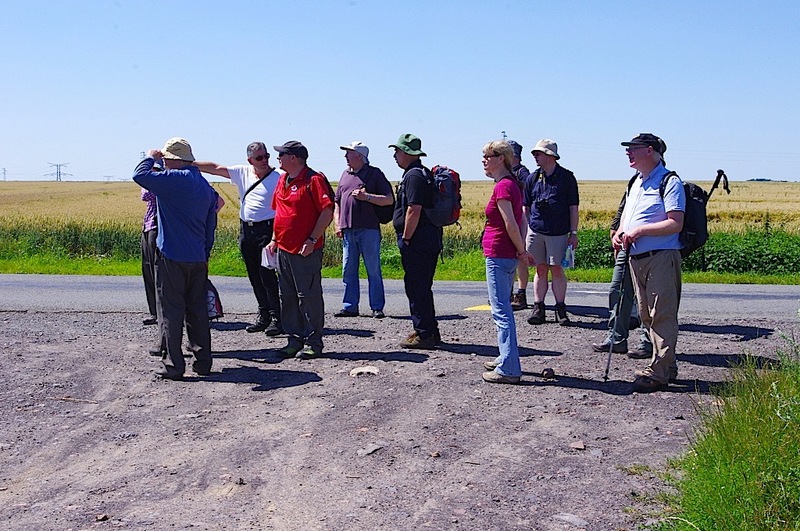 In 2013 I had several requests to take larger family groups to the fields of remembrance in France and Flanders. This resulted in me hiring a 7-9 seater vehicle which was not always economically viable. I am now pleased to announce that I have aquired the services of my friend and driver, Rick Jackson, also from Hemel Hempstead who has the necessary PSV qualifications and is the owner of a luxury, 12 seater mini-bus. 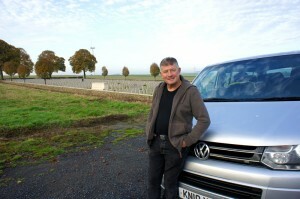 Rick has been driving to the Battlefields of France since 1990 and knows the avenues and lanes of Picardy and Artois intimately. His comfortable and spacious vehicle is fully equipped with seats with headrests and seat belts, full air conditioning, DVD player (with computer facilities which means trench maps can be viewed on the big screen) a necessary drinks fridge and a huge baggage area. 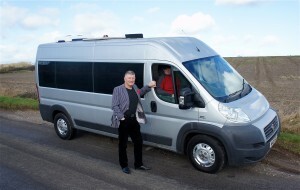 The vehicle can also be converted to an eight-seater with on board room for 6-8 mountain bikes. Ideal for families and friends of 6-12 persons. Demand will be great so be sure to book your tour early! During 2014, Jon acted as principal guide with leading professional tour operators such as: The Daily Telegraph & The Guardian Newspaper Centenary Tours, Travel Editions, Battle-Honours, The War Research Society of Birmingham & Flanders Tours. Other groups included the Royal British Legion, The Hampstead Pals, Frinton Pals and several other Metropolitan Police remembrance groups, including Fulham, Shepherds Bush, Hammersmith, Heathrow, Bushey and West End Central. For smaller groups, Jon has a comfortable 4×4 Land Rover, (up to five persons), which is extremely useful in visiting remote battlefield cemeteries in the winter months. He also has access to a luxury, nine-seater, Mercedes. 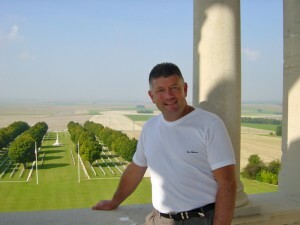 One-day tours to the Somme, Arras, Loos and Ypres can also be undertaken. Walking tours of the battlefields are a regular undertaking. The most popular being the Somme, Arras, Ypres and Verdun battlefields. He has devised personal, interesting routes through the countryside, using old trench maps, which envelop old trench lines and remaining battlefield archeological sites, such as the Hindenburg Line. Jon has also been adviser to several TV documentaries; ‘Lions led by Donkeys’ (1986) ‘The Nineties’ (1992), ‘ A Game of Ghosts’ (1991) and featured in ‘On the Somme’ – Remembrance Sunday, 1996 (80th Anniversary programme). 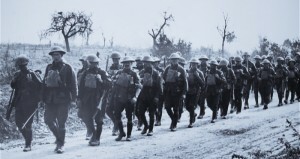 He also wrote and produced the acclaimed ‘Voices of the Fallen’, a play about the history of the Great War in soldiers’ letters and poetry, which received top reviews in London and the home counties from 1990 -1992 and featured guest appearances of veteran soldier Alf Razzell of the 8th Royal Fusiliers. Wherever on the fields of war of France and Flanders you wish to go, Jon will guide you to the old action spots and vividly bring to life what it was like in the muddy trenches of Vimy Ridge, attacking a shattered wood on the Somme or facing murderous flame throwers at Verdun. His in-depth knowledge of the British Army and the characters who fought that ‘War to end wars’ will delight and surprise you. He does not do it for a living. He does it for love of our history. He firmly believes that the ‘Cheerful Sacrifice’ made by the generation who fought the terrible war of 1914-18 should never be forgotten. ‘They did it for us’.